I think this video may have singlehandedly invented the 1980’s. The special “original lyrics” version, for all you Sabbath nerds out there. Daniel Askill – WE HAVE DECIDED NOT TO DIE from Cgunit on Vimeo. and originally posted by me here. Ana Ng and I are getting old and we still haven’t walked in the glow of each other’s majestic presence. Dave McKean is an English comic book artist who brings fine art sensibilities and multimedia techniques to the funny book genre. I first became aware of him through his work with the equally legendary Neil Gaiman on Sandman. Recently, in search of inspiration for the possibilities of the “Sequential Art” genre, I picked up his collaboration with Grant Morrison, Batman: Arkham Asylum. Billed on the cover as the bestselling graphic novel of all time, even just a few pages tells why. The writing turned in by (my personal favorite comics writer) Morrison is mindblowing, and McKean’s art is similarly classic. No matter the style, Dave McKean’s art is absolutely incredible. Whether it’s a multi-media collage or pure ink on paper, McKean always has a distinctive style and has a hand that brings something to the story that would not have been possible in words alone. Click the image for a pretty good article about Ware's book Jimmy Corrigan Boy Genius. Chris Ware’s work is incredible for its mastery of using the possibilities of the frame to express time in complex ways. The scope and care he puts into his work is mind-boggling, and leads to the most beautiful results. This article, “Pop Arcana 1: The Comic Book of Thoth” by Erik Davis over at Hi/Lo Brow is a highly recommended read. It starts as a history of the underappreciated contribution of Pamela “Pixie” Colman Smith to the Watie-Ryder-Smith deck of tarot cards, and on its way to the conclusion, takes you through a quick history of the modern disposition and role of the occult. Warts and all. The above quote is also useful in emphasizing that magick and occult traditions are not ancient or medieval mythology, nor are they necessarily a wooly scam. 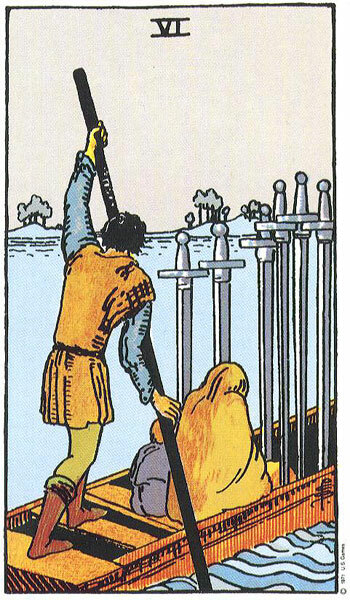 Rather, they are a set of tools that can be employed by the individual in being a participant in the world around them today in a very level-headed and way. “Pop Arcana 1:” is worthy as a piece of both history and rhetoric, and the fact that it’s a great read gives you no excuse not to read it. 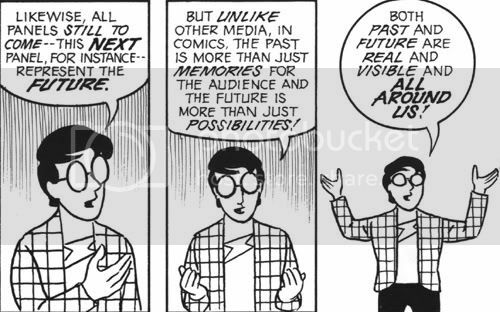 A seminal work by Scott McCloud, Understanding Comics frames comic books as “Sequential Art” and shows their power, usefulness, and artistic significance. I just reread it from cover to cover. It was quick, I highly recommend it to anyone who works in visual media of any sort. The argument isn’t quite as direct as Ways of Seeing, since Berger’s scope is much narrower and the split between words and images is given. But the value of Understanding Comics is that it isn’t just about funny books: the scope quite wide, dealing with “iconography” and representation on basic semantic levels. And the fact that it explains the artistic merit of the comic book as a medium means it is successful in double duty. Pretty much every conceivable element of sequential art is covered in detail, from the flow of time and its representation to the emotive possibilities of line. To stress though – the most valuable part is that it isn’t just about comics, the ideas in Understanding Comics can be extended, by the perceptive reader to apply to all visual media, and to visual / language mixed-media. One unsaid thing that is clear is the idea of the page as “virtual” space. This allows almost-infinitely flexible storytelling, and re-imagining of the possibilities of representation and narrative. Even if you have never been a comic book fan – especially if you actively dislike the medium – read this. If any book will show the true value of what is often (mistakenly) considered a “lowbrow” medium, Understanding Comics is that book. While I assume it had approval, it appropriates infrastructural space. It also invites occupation: providing a construction of common reference around which events can happen. My project is in transition right now, and Interbreeding Field Project B is not a direct antecedent to it. But it is an interesting piece of architecture, by embracing its temporary nature and reimagining banal space in an inventive and engaging way.